Cat people, this is your time! Okay, maybe that was a slight exaggeration, but the game does talk about cats. A lot. Or at least they play a special role in Ghost Towns: The Cats Of Ulthar. 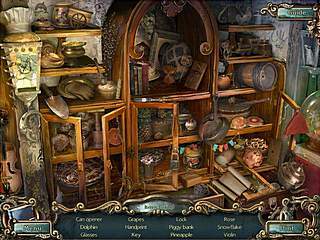 The story isn't happy, and the levels aren't easy in this hidden object puzzle adventure game. 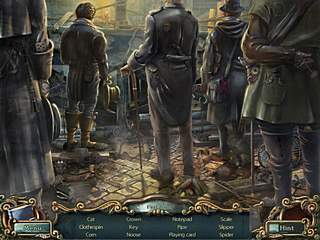 The game features the three major parts of the games of this genre. Maybe the game is more attractive for the dog lovers because cats kind of represent evil here. The town that you arrive to was overtaken by some sort of a cult that worships cats. As soon as you arrive in the town you meet Menes, a boy that is about to be executed. The game challenges you to learn the story of this poor boy and how things have gotten so bad in the town. You are now the one to save the boy and the town from this unknown evil. The game features the three major parts of the games of this genre. There are many hidden object scenes. They are straight HO without any variations. The adventure part is not very innovative making it less of an adventure. You are to accomplish all the familiar tasks that you did in so many different games. The puzzles that you get to play are kind of the same. They are all the classic ones with a low challenge level. The game is good, but it has its flaws, that by the way may not seem flaws for some. That's why it is always good to try the free version first. This is Ghost Towns: The Cats Of Ulthar review. Download this game here.